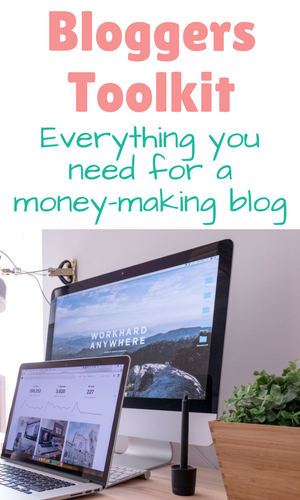 There’s certainly a difference between writing a personal blog and writing for a blog intended to make money. This post will outline a profitable blog writing format that you can incorporate on your blog to increase your earnings online. 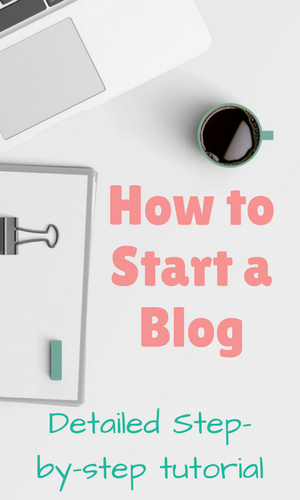 If you’re wondering how to write a blog post that will attract blog traffic from search engines and help you to make money blogging then this post is for you. 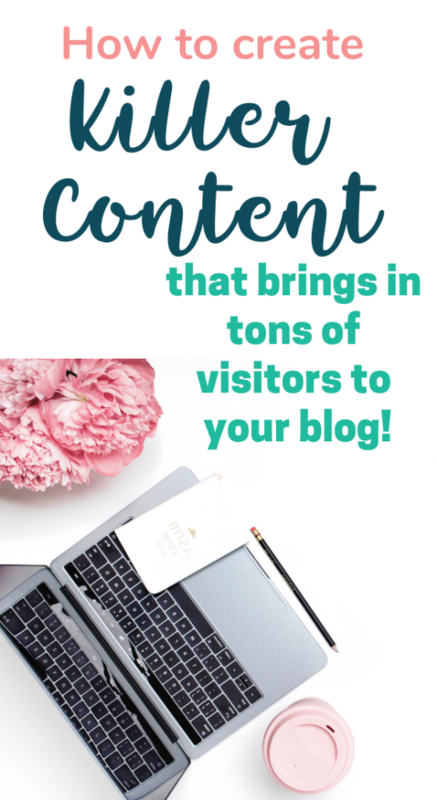 You’ll learn how to create blog content that converts and what to do to market it once it’s written. Before you put pen to paper, or finger to keyboard, I have some steps that are crucial for you to take before you write a blog post. I’ll also share steps to take while writing the perfect blog post and what you should do once you’ve written it. Watch the video that enhances this blog post and deep dives into my own content creation process below. Finding my blog voice and personality is something I struggled with on my lifestyle blog for a while before I found my groove again. While writing for this blog that you’re reading has come easy because blogging on a whole is something I’m passionate about and quite knowledgeable on, I knew I needed to revamp my lifestyle blog. Here’s how I finally defined my unique blogging voice in the lifestyle niche. Your blogging voice is what will attract readers to you. It’s highly unlikely that you will be writing about anything new on your blog. Everything has been written before but you have a unique and interesting spin to put on your content. You have a way of connecting with your readers and they will come to you for that unique spin. 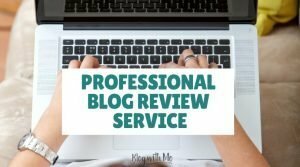 Your blogging personality is what will endear you to your readers and develop that important connection and trust. Let’s take my example. I have developed quite a connection with my readers on IrieDiva, that I know for sure. But the fact is that the audience that I was writing for was rather small. Writing about Jamaican lifestyle, events, places etc, is rather fun and I will keep on doing that, however I needed to take a step back and look at it from a different approach. I was writing about these things in a way that was way too familiar, only speaking to a small section of an audience that may care about these things. I was also not providing enough of the WIIFM factor. That is, writing helpful content that provides a solution or is at least highly entertaining. If you take a look at the most successful blogs, they have a certain thread in common. That is, they provide something that their audience will care about. The category that I wanted to fit in provided useful lifestyle and fashion tips to their audience. Readers should know that they can head to your blog and read something of value that they can put to use in their own lives. The majority of blog posts should offer a valuable takeaway for your reader. Can you write posts about your own life or events in your hometown that blogland may not readily care about? Sure, but you will need to find a way to relate this to a wider audience. This goes back to the art of storytelling. You’ll need to write the post in such a way that even though it’s about a new store opening in your city, there’s a really interesting headline or description that made me want to read it. Or there’s a really good lesson to be learnt from this store-opening. Find a way to relate a local story to a wider audience. I was missing this bigly. There’s another critical step I was missing in defining my own blog voice and personality. I wasn’t looking at what the big dogs in my niche were doing. If you asked me to name a fashion or lifestyle blog I really liked, I was stumped. I had my head in the sand! Sure, there were fashionistas on Instagram I loved, but I hadn’t been to their blogs in forever. If I wanted my blog to survive to be a big dog, I had to study what was making the others so successful. I googled all the top lifestyle blogs and quickly saw some things I needed to change immediately. I also took note of the ones I liked and wanted to be like because different blogs will be successful for many different reasons. Write down a list of the top 10 blogs in your niche that you love. Take note of why you love their blog, is it their theme? Their style of writing? Their content? Find the common thread that defines the reason why you like these blogs. Visit their social media pages, which ones are more successful? Does their audience connect with them on one platform over the other? Are they using any kind of theme or strategy on their social media pages? Their audience is your audience so you need to master the avenues that they frequent. Follow them on social media, comment on their blog posts and sign up for their mailing list. Allow them to feel your presence and you may get noticed and be able to collaborate with them in the future or even count them as a mentor, asking them for advice on your own blogging journey. Use BuzzSumo.com to find their top posts. This can help you to determine the kind of content you will need to write that resonates with your mutual audiences. That last tip is referred to as the Skyscraper Technique by SEO expert Brian Dean. Worth the read if you’re looking for popular content to write for your blog plus info on how to get it to rank on search engines. What you’ve begun to do is define your writing style and develop your blogging personality. Yes, it will be from your unique perspective and sprinkled throughout with your charm and wit, but now you’ve begun to identify the reason why a reader will care about the posts that you write. What challenges is this person having that I will be able to help? What do I want them to do after reading the post? Share, comment, subscribe, buy? How does the post help your bottom line? What’s the goal of the post for you? Every blog post should have a goal for you. Some are intended simply to bring in lots of traffic which can be monetized with ads. Some are specifically to attract email subscribers and others sell a product whether your own or an affiliate. If you can answer all of these questions concisely then you have a good post on your hand. If not, it’s back to the drawing board. Do this for every type of audience that the post can help. If you think it can be helpful for two types of audiences, then answer all four questions for them. Don’t dig too deep to try and find reasons, as you may be stretching for what’s simply not there. This will also help you to know where and how to market your post as you define the audience that will find your content most useful. One last thing on your blogging voice, make sure you’re reading. I can’t stress enough the importance of always continuing to read. Read blogs in your niche, take blogging courses, read blogs outside your niche, read fiction books, read self-development material. The more you read, the better your writing becomes and the more you define your personal style. Hopefully I’ve provided you with a roadmap with which to use to define your blogging voice. 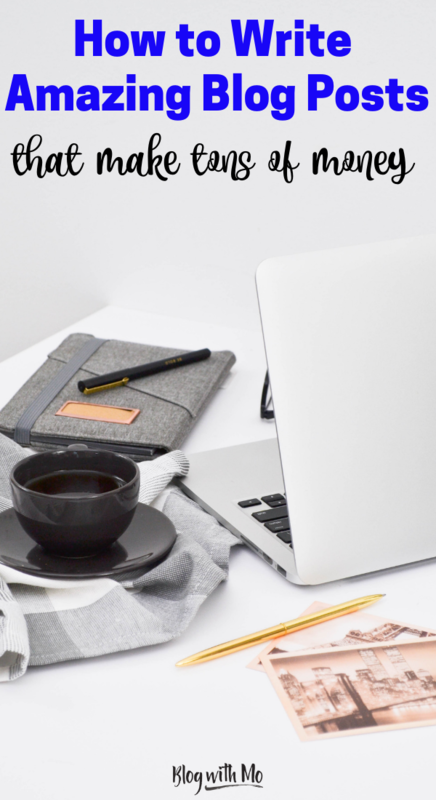 When you’re ready to actually write your post, check out my content creation strategy here to see the exact process I go through when I’m writing a blog post. Before you begin writing, flesh out the idea on paper as much as possible. Does the idea flow with your blog’s content well? Can you write extensively on the topic? Can you present it in an engaging way that will keep readers going til the end? Does it help someone in some way? Remember, if you’re blogging with an intent to make money or reach a very wide audience, the post should answer a question, solve a problem or help your key target audience in some way. Now that you’re sure your topic will be a hit, it’s time to begin thinking about the SEO quality. SEO stands for search engine optimization and it’s what will get your post noticed by Google, Bing, Yahoo and all the search engines out there. It’s what will make someone find your post when they put a query in a search engine and if you do it properly, you can be number one on the result page. And we all want to be number one on a search page result when we write a blog post. That’s how you get the most traffic! However, as you can see above via Ubersuggest, this keyword is only searched about 90 times per month. I can do better than that! I’m looking for blog posts that will individually bring in a minimum of 1,000 views on their own each month. If you manage to have a solid collection of these posts, you’re on your way to a blog with page views in the hundreds of thousands. And that’s the aim. Scroll down further on the same results page and the tool will give you some suggestions close to the keyword you searched originally. I clicked on “view all keyword suggestions” at the bottom, then toggled to “Related” keyword suggestions and clicked on “Vol” to sort by monthly search volume as shown below. 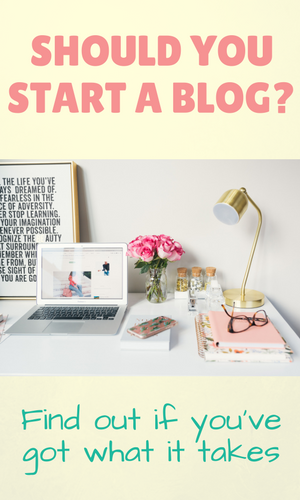 You’ll see that “how to write a blog” is estimated to receive 5400 searches each month and is estimated to be pretty easy to rank for. Ubersuggest has given me better keywords for my post than my original idea! Now I’ve simply got to make sure my post follows all the steps I’ll outline further on in this post to try and rank well for this keyword. This is a pretty new blog and if you do a search for those keywords, you’ll see that the competition is actually pretty stiff. I’ll be going up against Hubspot and Google’s own Blogger. Depending on the competition you’re up against for your chosen keyword, you may want to continue searching for a better keyword (likely one with more words, i.e. a long-tailed keyword) with a better opportunity for you to rank. This is simply scratching the surface of search engine optimization. The full length and breadth of SEO is a topic all on its own. You can get a taste of SEO in my free 5-day blog traffic growth course or check out my beginner SEO course below. Now that we’ve fleshed out the topic as much as possible and we’ve selected our keywords, we’re ready to write our blog post. While writing your post, ensure you’re breaking it up with sub-headings, images, bullet points and maybe even quotes where necessary. This will make your post scannable to the reader and not look as scary as a wall of text staring back at them. New readers may want to quickly scan the post to see if it’s worth the read. Placing your keywords in one of your sub-headings adds to the SEO value of the post, as well as placing them in the alt tags of your images. What’s the alt tag? When you’re uploading an image in WordPress, there are a few fields that you can fill out. Some of these are the Title field, the URL field if you want the image to link to somewhere else when someone clicks it and the alt tag. Alt is short for alternative meaning this is the text that people will see alternate to the image. That is, if the image doesn’t show for some reason, the text will be displayed. This text is also displayed to visually impaired persons using screen readers and it comes up when you hover over an image too. Search engines use the alt tags to determine what exactly the image relates to. If your keywords are in the alt tags of appropriate images, you can see how it would bolster your SEO efforts. This post explains more about your SEO step-by-step strategy. Something else you will want to do is to write a long-form blog post. Aim for over 1000 words, but please, no fluff. If you can’t write 1000 words on a topic, maybe it’s not as helpful as you thought. There are of course exceptions to this. If you’re writing about a pair of jeans, I may not need 1000 words but I will need pictures from every angle of these jeans that you can think of plus different ways to style them so I can make up my mind. Do I really need these jeans in my closet? Should I really pay money because you say these jeans are worth it? Make sure you put your best, most in-depth argument forward, visually or with words. Google loves long posts. It shows that the article may be as complete as it gets and so if they show that post to the reader, chances are, they may not need to click back to the SERP (search engine result page) to find another post to read. This helps your bounce rate as a reader going back to the SERP is a surefire bounce rate killer. Bounce rate is another SEO term, simply referring to how long a reader stays on your blog before they “bounce” to somewhere else or simply close out the page. Her post isn’t that long at all but it is very well organised and full of images showing you exactly what to do. 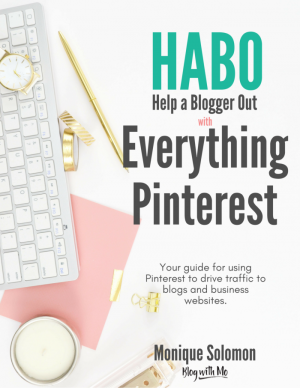 She also links out to places that you can purchase supplies, boosting her affiliate income. On the contrast, this post on Jane Friedman on how to self-publish a book is well over 3000 words, complete with table of contents and a video accompanying it if you’re not inclined to read it all or just prefer videos. I have come across blog posts that are in the 6000-word count! Yes, Google prefers longer content and if it’s really helpful then it will be read and appreciated. Don’t worry about scaring away readers, for good content, they will stay. They may even bookmark it to come back to later and they surely will be more inclined to share it. Your initial post may not start out very long, but it should evolve over time as you add to it and update it. Aim for over 1000 for the initial post and you will be ok. Try to finish your post with a question that encourages responses in the comments. Even if it’s simply to ask if the post was helpful or if there was any section that needs more explaining. A post with a robust comment section signals to search engines that the information is valuable enough to incite commentary from readers. I wish I didn’t have to put this here but it’s so important. Do it more than once and not at the same time either because you may catch a mistake later on when your eyes are fresher and your mind is no longer on the topic. I’ve been very bad at re-reading my posts immediately but I do force myself to do it each and every time now. I try my best to always do it because it’s so annoying when I come across typos and errors on other blogs so I know how it must be frustrating for my readers to find them here. Usually, the only way I stay on a blog with errors is if the content is super helpful. Even then, it must be a minor error because super helpful information is everywhere. Therefore, you don’t want to be the one shoo-ing away readers with simple errors. I use Grammarly to correct my grammar as I go along when I’m writing my posts. It’s a browser extension that will help you in that area. Then I reread when I’m done. Don’t skimp, this step is crucial. I have another blog post that goes into the specific structure of your blog post to get it to rank on Google quickly. Click through to read that post and see my blog post checklist. Now that you’ve published your post, it’s time to market it! It’s no use writing the perfect blog post if no one is around to read it. Search engines will eventually bring you some traffic but you’ve got to make people know about your post now! Use Canva to create images for your post in the sizes of all the social media channels you will be sharing them on. Cheat: I use the same image on Facebook and Twitter very often. However, I create several images for Pinterest because we’ve spoken about Pinterest being its own visual search engine and the need to have multiple pins. This post could have several different headlines but I chose the one that makes the most sense in Google’s search results. However, I’ll use all those alternate headlines to create pins and see which one does better there. After a few weeks has passed, I’ll refresh the best pin or create a whole new set of pins for the same post if I think I can do better and add those to the rotation. I do this on Twitter by sending out the same blog post with different headlines. It can seem spammy to keep tweeting out the same thing plus this method of switching out the wording can get across different things people can find in the one post. I have definitely been annoyed by seeing the same post in my timeline over and over but I may click through if I see it with a different spin on it that actually made me more interested. You’ll want to share your post with a few Facebook groups as well so that other bloggers will share it with their audience. 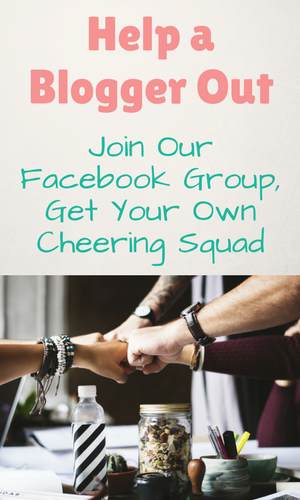 Facebook groups are a great way to network with other bloggers in your niche and at different points in their blogging journey. I wrote about using Facebook Groups for blog traffic here. Not only will you learn a lot from these bloggers, you’ll get the chance to promote your blog posts on their promo days. Just don’t get too caught up in doing so much promo that you lose focus on creating great content. I’ve definitely been down that path before but great content is a better traffic driver than FB group social sharing. I’ve skimmed the surface of marketing your posts here because that’s another post for another day but I wanted to give you the short version to begin. Stick around to answer questions on your posts whether in your comment section or on social media. No one wants to leave a comment only for it to go unnoticed. Be sure to let your email subscribers know about your new post as well. Whether you choose to do this for each post or do a roundup type email at the end of the week is up to you. I use both methods on my blogs. Also, be sure to link to other posts within your post. This again helps with your SEO. You will want to link to your own posts so that you present an opportunity for readers to read further on your site and interact with you longer. You’ll also want to share the link love and link to other websites that will be helpful in some way to your audience. Linking to other blogs plus sharing and commenting on other blogs in your niche are a few ways to begin networking with other blogs. This way, you create friends and allies who will help you to build your authority and grow your audience. Stay on top of your links. For instance, in my extensive SEO post, written months after this one, I remembered to come back to this post and link it up here. Therefore, when this post does eventually pick up traction, you can click through to the SEO post for further reading. Well, I’m well over 2000 words now I hope you made it through! 🙂 The point of killer content is, of course, to drive lots of traffic to our blog. I host a traffic growth challenge in my Facebook group and would love for you to join! 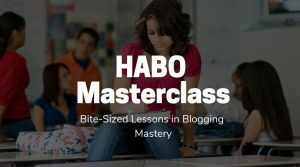 It’s a 5-day intense challenge proven to grow your blog traffic using awesome SEO techniques plus tried and true, data-backed social media sharing. Join in on the challenge here. Did you find this helpful? I hope I was able to give you some tips on how to write a blog post that will be more valuable to your readers. 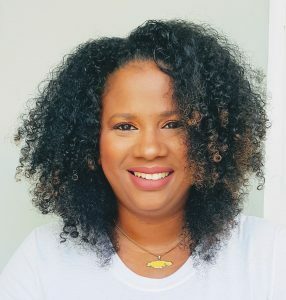 Be sure to check out my services if you’d like dedicated help and please subscribe below to stay connected. You can also join the Help A Blogger Out Facebook group to ask me questions at any time. This is a GREAT post, I bookmarked it! I think I have found my voice (I just write how I talk), but this post is packed with great nuggets of wisdom! Thanks Mo! I can’t wait to give this a try! Thank you for the tips. This is SUCH a helpful post! I’m pretty new to bligging so this is really great! Thank you!! these are great tips! The one about making a list of your favourite blogs in your niche if read before. And it’s a great tips, I’m glad you reminded me of this again! Thanks for the tips! I feel I’ve been struggling to find my voice on a consistent basis, especially when it comes to social media (which I use every day). I feel… I don’t know. Self conscious? Thank you for these tips. I’m giving my blog a complete makeover, from logo to posts, and redefining my voice and personality. You’ve been a big help in giving me concrete steps to help me do it. These bullet points are perfect, thanks so much! I need to print them out and pin them to my forehead.